Flooding from Typhoon Etau has caused new leaks of contaminated water to flow from the Fukushima nuclear power station into the ocean. The incident came after a rush of water overwhelmed the site’s drainage pumps. Typhoon Etau brought lashing rains, floods and storm winds to Japan. Tens of thousands of Japanese people have been ordered to leave their homes across the country. Tokyo Electric Power CO. (TEPCO) informed the public today that hundreds of tons of radioactive water had leaked from the facility, but maintained that the incident posed no risk to the environment. Large quantities of contaminated water need to be stored in special reservoirs that were used to cool melted fuel rods from reactors at the TEPCO site, which was damaged by the earthquake and tsunami of 2011. TEPCO had acknowledged the risk of the typhoon to the nuclear site on Tuesday, outlining the preventative measures it was taking. Posted by Tokyo Electric Power Company, Incorporated (TEPCO) on 8 сентября 2015 г. Despite Tuesday’s statements asserting that the drainage system would protect the nuclear plant station and the operator company was ready to face the typhoon, today’s announcement would imply that TEPCO’s efforts weren’t enough. 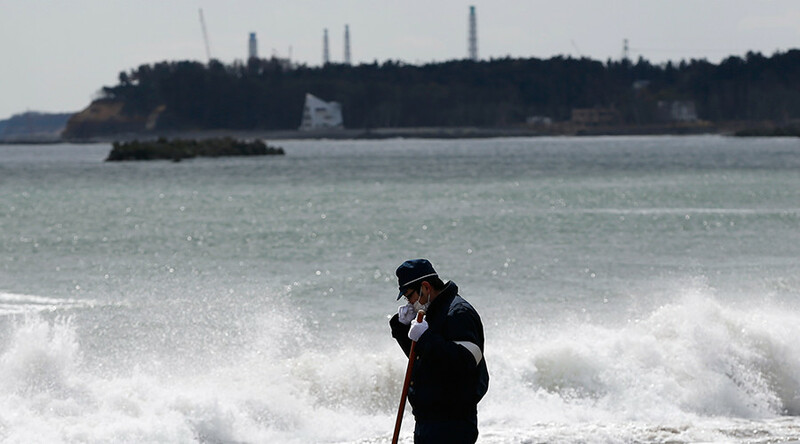 To deal with the new leaks, TEPCO said on Thursday that it was sealing off the seaside of the nuclear plant with an “impermeable wall” which would “play a crucial role” in preventing contaminated groundwater from reaching the ocean. Posted by Tokyo Electric Power Company, Incorporated (TEPCO) on 10 сентября 2015 г.
Japan’s Meteorological Agency warns that many parts of the country, including the Fukushima prefecture, are still at great risk of heavy rains and further flooding, the International Business Times reports.